At 15.30 pm local time ( around 13.00 in Italy) , flag the patrol was targeted with small arms, mortars and rocket-propelled grenades for 30 minutes. The attack took place about five kilometers south of the base of Shindand in western Afghanistan under control -led ISAF Italian . A return fire paratroopers of the " Nembo " of Pistoia , the regiment of riflemen of 7 Altamura and engineers of Palermo. The Italian soldiers were also supported by the air forces NATO and the Mangusta helicopters . There were no injuries. The Italian troops were controlling and reclaiming the area. On 18 October to be targeted was the basis for Shinbad , with the launch of missiles inside and outside the fence. "We are in an alliance , NATO , which ends in 2014 with the so-called Aisaf period , that is a mission the task of supporting the Afghans even in combat ," he recalled in recent days, the defense minister Mauro . " From 2015 begins a mission of support when we are still close to the Afghans , but not to help them fight , but rather to assist them in the development of the country. This mission must be approved by Parliament. Our men until the end of 2014 , while reducing the number up to 1,800 men , will be able, however, doing their duty, to ensure security for the Afghan population. Truppe italiane attaccate in Afghanistan per 30 minuti. Ieri pomeriggio , a pochi chilometri dalla base di Shindand, controllata dagli italiani, le Nostre truppe sono state obiettivo di un attacco di mortai e razzi RPG. 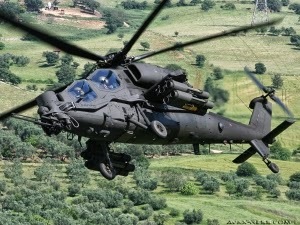 L'attacco é durato circa 30 minuti, sventato grazie all'aiuto degli elicotteri dell'esercito Mangusta. Nessun ferito tra i soldati italiani.